The way the state Department of Fish and Wildlife are slaughtering wolves is an outrage. Guest columnist Brooks Fahy explains why. IF you’ve heard about the wolf killing under way in northeastern Washington, you most likely have been led to think that progress is being made, simply because groups as disparate as ranchers, wildlife officials and environmentalists have agreed on something. But what’s going on is an outrage. And it can only be understood if the common assumptions about ranching and wolves are exposed for what they are — a travesty for wildlife, public lands and the taxpayer. 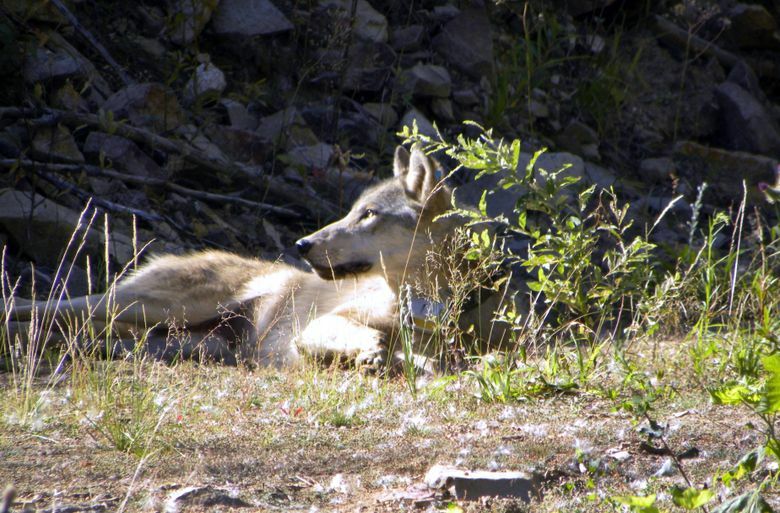 What has happened is a family of wolves known as the Profanity Peak pack has been targeted for death by the Washington Department of Fish and Wildlife (WDFW). Their “crime” was killing livestock grazing on public lands in remote and rugged parts of the Colville National Forest after ranchers had allegedly used nonlethal deterrents. The first two wolves were gunned down by helicopter on Aug. 5. Four more were killed by Friday morning. The agency has slated the rest for death — this in a state that has barely more than 90 wolves. 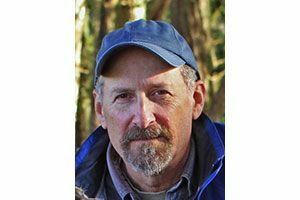 Brooks Fahy of Seattle is a wildlife filmmaker and executive director of the national wildlife advocacy organization Predator Defense. • It’s cruel, anti-science and fiscally unfair. • Nonlethal deterrents work when used appropriately. • Ranching is destroying our public lands. • Wildlife should live in peace on public lands. First, the cruelty: Science increasingly shows that animals experience pain and loss. Wolves are pack animals with a social hierarchy similar to our own families. Imagine what they experience when they see family members killed and maimed. With aerial gunning, wolves are chased by helicopters and often run to exhaustion before being blasted by a shotgun as the helicopter hovers. They experience sheer terror. The actual act is something government agencies don’t want the public to see. Isn’t it odd that we see news coverage from war zones, but not from the war on our wildlife? Next, the financial reality: The iconic image of cowboys on horseback tending their herds was deeply ingrained into our psyches by old Western movies. No one is stopping ranchers from tending livestock this way now — but ranchers don’t tend livestock this way. Livestocks on public land tend to be scattered far and wide, and most ranchers don’t want to spend time and money guarding them. Why should they? They know the government will come in and kill predators on the taxpayers’ dime. They also know they’ll be compensated for their losses, and many ranchers now consider these handouts a right, not a privilege. No other industry has been more adept at externalizing their costs. This is not a fair or sustainable business model. Nonlethal ways to protect livestock abound, but the best is effective human presence. With the Profanity Peak pack, the terrain is not suitable for grazing; it is pristine forest where only an army of range riders could effectively deter wolves. Equally troubling, ranchers have been known to put cattle in the middle of wolf rendezvous areas in hopes of encouraging predation. We’ve heard reports that may have happened in this case. Livestock causes enormous environmental damage. They remove forage and ground cover other animals need to survive. Cattle trample and denude riparian areas and pollute streams with waste. Heated-up streams can no longer support dozens of species, including fish. Thousands of miles of fencing fragment habitat, causing deathly obstacles for fast-running species like pronghorn antelope. So we pay for ranchers to destroy our land, and wildlife’s habitat! Surely we want the word “wild” to remain part of wildlife. Wolves and other predators shouldn’t have to suffer a mortal fate for doing what they are born to do. And we shouldn’t remove what balanced ecosystems require. It all points to bigger questions. But I will close with just one: What is the appropriate use of public lands? Public lands are our lands; they don’t belong to ranchers. They are inappropriate places for livestock.